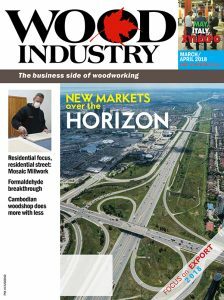 Many wood-industry manufacturers have businesses that do well in their own back yards — where customers are never farther than a tank of gas in the company pickup truck. 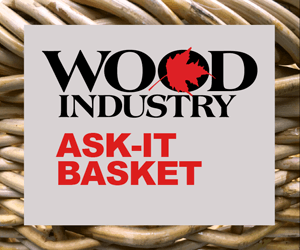 But there comes a time when a cabinetmaker or furniture manufacturer wants to expand beyond its municipality to the next province or even another country. To just ramp up production and hope for the best in new markets is, of course, foolhardy without a solid plan in place. 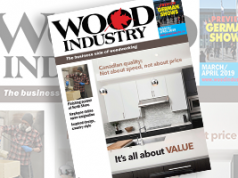 Luckily, wood-products manufacturers in Canada can turn to some great financial and business organizations for advice and services. Export Development Canada (EDC), Business Development Bank of Canada (BDC) and Export Quebec all have services and programs that can help you take the next steps to increase your business. Philip Turi, director, Advisory Services at EDC in Ottawa, Ont., runs the organization’s Trade Advisor Team, which it operates like a service centre. Turi’s team is standing by to offer answers to the myriad questions that exporters might ask, as well as provide information on issues they might not be aware of yet (exporthelp@edc.ca). 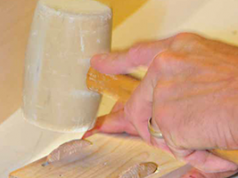 In the province of Quebec, wood-industry businesses can turn to Export Quebec for many services, including expenses in traveling to key events in the U.S. and Canada, such as the Canadian Furniture Show in Toronto, NeoCon in Chicago, Ill., High Point Market in Charlotte, N.C., and the Las Vegas Market Salon in Las Vegas, Nev. According to Pierre Richard, president, Quebec Furniture Manufacturers Association (QFMA) of Montreal, Que., furniture manufacturing in Canada represents 63,000 jobs (roughly half of the total in the highly subsidized Canadian automotive assembly and parts manufacturing industry). When Richard assumed the leadership of the QFMA about four years ago and did a “walk-through” of government ministries in Quebec City and Ottawa, he found the industry was barely visible. “It really surprised me considering how important our industry has been and continues to be. “We started looking at ways of working closer with government at the provincial level to help governments make informed decisions. We’re not looking for handouts from governments. We’re looking to make them understand what the consequences are of certain decisions and how they could impact our industry. When you talk about Export Quebec as an example, we were not on their radar screen at all.” Luckily, after a consultation process was put in place, the situation has gradually changed. Simon Bouchard, president of Montreal, Que.-based Ateliers Jacob and the Association of Manufacturers and Retailers of the Quebec Kitchen Industry (AFDICQ) of Levis, Que., has taken advantage of Export Quebec programs for his own business. Cabinet manufacturer Ateliers Jacob has four locations across Canada and one in Florida. “If you hire a sales representative they pay 50 percent of the salary,” says Bouchard. His company recently acquired Quebec competitor Tendances Concept, effectively doubling the size of the business. 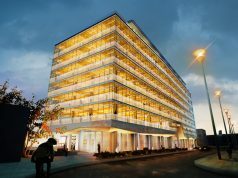 Plans are to have as many as 20 cabinet showroom locations across North America. Neumann has noticed that the culture in each province he’s worked in is different. “The expectations are different too. When you get the actual business out of the way people do different things. “If you don’t know your customer and you don’t do your due diligence, and you don’t assess your risk properly, then you don’t know if you are going to get paid. Being from out of province, it is too expensive to fly in reinforcements from the shop, so OnSite has come up with a creative solution to overcome project performance penalties. The logistics of performing out-of-province work includes more than just shipping material and manpower to project sites, according to Neumann. “Make sure you have the proper insurance. Like if you need to have your truck drive to Vancouver and suddenly disappears with $250,000 worth of product.” Other issues a business has to educate itself about are who is responsible provincial sales taxes on goods and services, as well as jobsite safety regulations in that particular province. When out-of-country doing business, however, other issues crop up that can be handled by Canadian trade commissioners dedicated to their foreign market. “It is their job to find networks locally and to maintain those networks, to maintain lists of services providers that you are going to need to work with if you want to get your product into the market,” says Turi. “Some of those services providers would include individuals like customs brokers to look after clearing customs, oftentimes in a cost-efficient way. Local accountants, local lawyers, local suppliers which can become relevant when you look at your local supply chain. Another recommendation that Turi makes is to explore partnering with a large logistics company for in-market assistance abroad. “They don’t just include helping you to ship your product to market. They also help you find organizations or suppliers to work with you further down the production process in market. Turi notes that you shouldn’t feel isolated in the process of setting up an export business for your products. “It is daunting if you are thinking of about going at it alone,” he says.